A glass greenhouse with south and west exposure on the top floor of the cultural venue SALT Beyoglu in central Istanbul houses an evolving experimental edible garden environment. Scavenged materials, construction detritus, empty containers, and local finds were gathered to create structures accommodating plants and people. SALT staff and visitors use the casual handmade environment as a green living room and gardening retreat, participating in its creation, use, and development. Local urban gardeners occupy it as an occasional headquarters and seed-starting facility. The planted, structural and furniture elements of the hothouse evolved through time with the growth of the plants and the changing desires of the users, while built elements are continually constructed, adjusted, and reconfigured. The Rooftop Hothouse is a casual laboratory for modest and year-round urban gardening activity cultivating a diversity of edibles. The garden is now managed by Slow Food Youth Group Istanbul. The aim was to create an edible estate that would act as a casual laboratory for modest and year-round urban gardening activity cultivating a diversity of edibles. At the same time it was hoped that the space would launch a series of questions, discussions and reflections on cultural agency, urban issues, the environment, what a cultural institution can and should be or do etc. The garden created an alternative environment to the gallery spaces of the institution and sparked debates around what art is and can be, and what it means to present something in an unfinished or developing state. 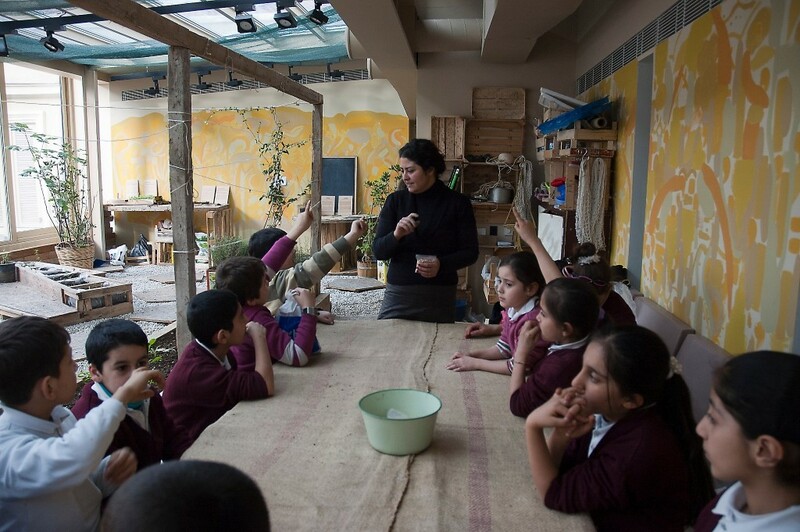 It created a hub for people to gather, to meet, to learn about edible plants and food production. It offered a space for workshops and discussion around urban issues and the environment. Ultimately it opened a series of propositions without offering answers. Slow Food Youth group Istanbul and Fevzi Cakmak, SALT Beyoğlu.